An island detached from the main island provides shelter for inter-island vessels. both constructed sometime around the mid-2000 only. 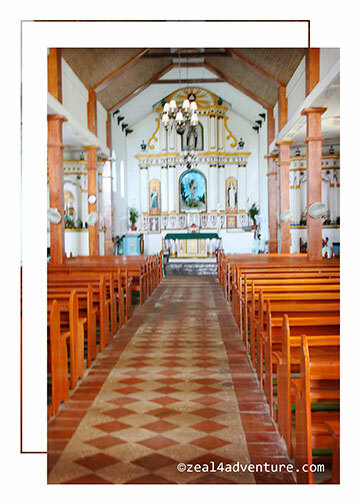 The church, however, has been a fixture in this old sleepy town since the days of yore and every time I am in Batanes, I get to visit it. It is, after all, the biggest structure in Mahatao. 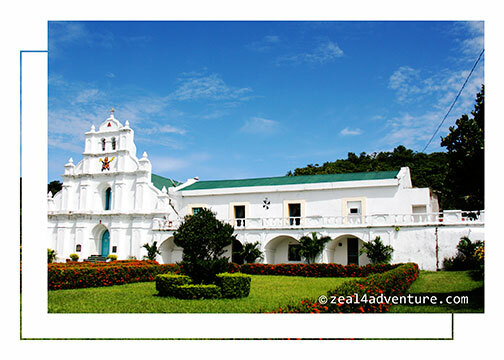 San Carlos Borromeo Church is one of the oldest existing church in Northern Luzon that still keep its centuries old features making it a National Cultural Heritage Treasure. Also part of Mahatao is the Chanarian View Deck. 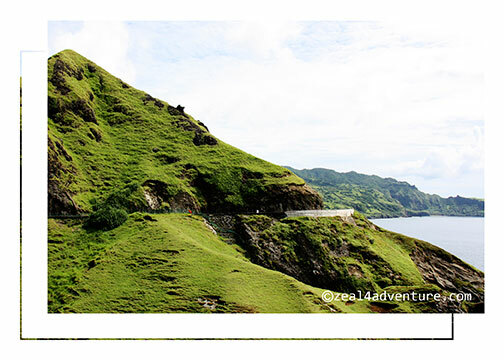 Another personal favorite, it has breathtaking views of Batan and the rugged cliffs. 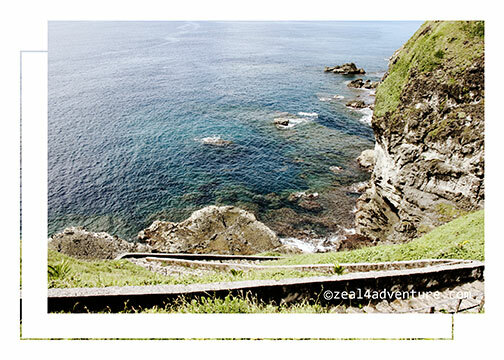 Concrete stairs lead down the cliff if one cares to explore the water below. I prefer the view from the road. 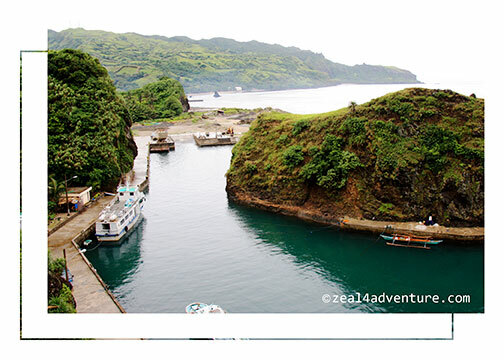 Last May while enjoying the view, I chatted with our guide Mang Rudy about life in Manila. Life in the capital, as he describe it, is hard enough as a single, sometimes holding 2 jobs just to make ends meet. When he got married, he knew that it would be difficult to raise a family if he stayed. So they went back and now that they are settled and has called Batanes home once more, he is happy. A guide before he left, he picked up where he left off citing that the influx of tourism provides a steadier income. He is also enjoying the support he gets from his family, friends and neighbors, bayanihan still very much a part of their culture. Their geographical isolation has a lot to do with this spirit. He is proud to be an Ivatan, and I can feel his passion. As a guide he aims to promote his homeland because it is indeed a place so unique and beautiful to be in. Thor and Anton, taken in 2006 in Diura Fishing Village. A small village facing the Pacific Ocean and where fishermen perform a ritual to signify the start of another season of fishing. 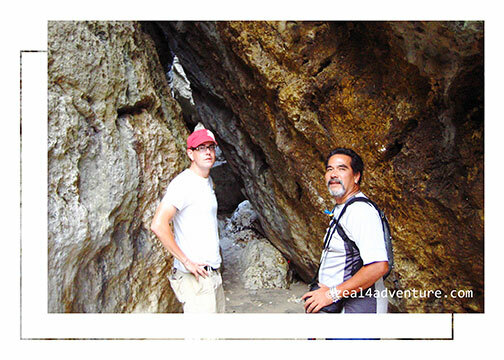 In 2006, a guy who is not from Batanes, nor is he Filipino brought us around. Thor, a volunteer is American. It amused me that a foreigner was showing us around the island, our very own country. He was then helping the Tourism Office in various projects, one of which is training guides. I never got to ask Mang Rudy if Thor ever trained him but regardless, I think he will make Thor proud. 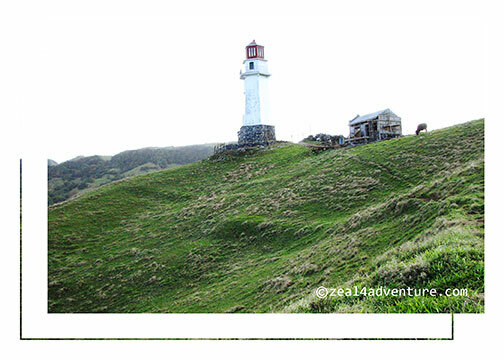 And this ends my series on Batanes. 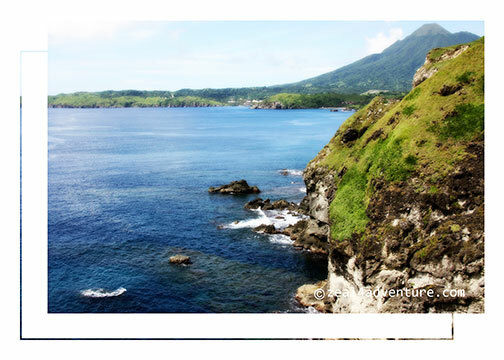 Want a summary of where and what to eat in Batanes? 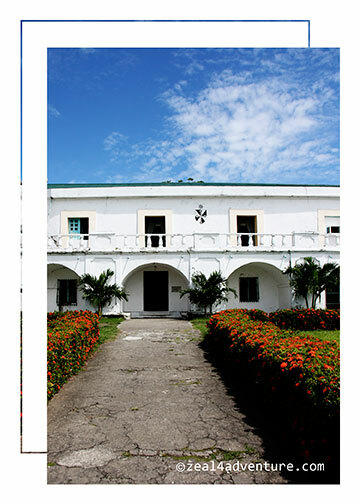 Check out Batanes Eats at Storm In My Kitchen for some of the island’s gastronomic delights.